American Greetings has launched a line of greeting cards called Sparkle Knits. The cards are adorned in decorated sweaters and feature songs and lights. A Christmas song plays when the hanger is tugged. The little sweaters are decorated like Christmas sweaters. They come in three designs, which include a reindeer, teddy bear and Christmas tree. Carol Miller, vice president, corporate innovation at American Greetings, said in a statement, "The holiday season is renowned for celebrating with food, family and a cozy Christmas sweater. 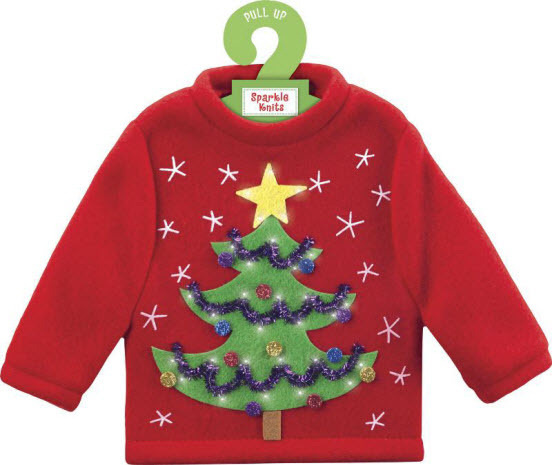 Sparkle Knits offers consumers a unique and fun holiday card option that showcases the same warmth and details featured on these popular Christmas sweaters."